Hip pain at night can lead to many other conditions including sleeplessness. There are several reasons for hip pain at night, and it’s important that you a) have its cause diagnosed and b) have it treated. Before discussing the best mattress for hip pain, we shall first discuss three major causes of hip pain and their treatment. A bursa is a thin balloon of synovial fluid that provides a cushion between a moving bone and other surfaces such as tendons and muscles. The hip has two of these bursas, one on the outside of the hip and one on the inside. It is usually the outside bursa that gives you pain when sleeping, particularly when sleeping on your side. The pain will be on the outside of the lower part of the hip joint, but may also appear on the inside near the groin. The bursa can be damaged by repetitive movements, such as long distance running, or by a sudden impact such as a fall. If the bursa sac is damaged, it can lead to bleeding and the bursa can fill with blood. This in turn can become infected and lead to painful inflammation. The pain can last days or even several weeks, and most people report it to be more severe after sleeping. Treatment includes anti-inflammatories, antibiotics to treat any infection and rest – including good sleep. An ice pack can also take the bite off the pain. If you are a woman or are aged over 50, you are liable to suffer from osteoarthritis. Arthritis in the hip generally causes pain in the hip joint close to the buttocks or round closer to the groin. It is caused largely by wear and tear, when the cartilage wears or deteriorates. The cartilage is a slippery spongy tissue that reduces the friction between the components of a moving joint. When this wears, friction leads to pain which can be severe, particularly when moving. Osteoarthritis of the hip, like any other cause of hip pain at night, can affect your sleep. The sciatic nerve is the longest single nerve in your body. It runs from the lower (lumbar) part of your spine down your legs and into your feet. Sciatica is different from hip bursitis or osteoarthritis in that it is not connected with the bone or the hip joint. A sensation of numbness along the nerve, including your hip. Tingling or ‘pins and needles’ along the nerve. A feeling of weakness in your legs. Hip pain when you are lying in bed. Treatment includes medication, steroid injections, physiotherapy, chiropractic and even surgery. There are other causes of hip pain at night, although these are the more common. We could add tendonitis to the list and some others. However, the point is that each of these conditions leads to pain at night in bed, which in turn leads to a lack of sleep. This, in turn, can not only make the condition worse but also lead to other health issues. Hip pain can lead to lack of sleep. The first piece of advice is not to sleep lying on your painful side. That goes without saying. That understood, what is the best mattress for hip pain? In the past, it was recommended that those with back pain or hip pain should lie on a firm mattress. Then again, in the past, there were no latex mattresses or plush memory foam mattresses or toppers. With a firm mattress, the pressure of your body is supported by your pressure points – your head, shoulders, buttocks, hips, knees and feet. Which of these parts of your body support most body weight depends upon how you sleep: on your back, tummy or side. Some people cannot sleep on their back for a number of reasons, one being snoring and the other being sleep apnea, where you stop breathing for a while when sleeping. Stomach sleeping is generally not recommended because your spine has virtually no support at all. The most common position is sleeping on your side. Hard mattresses, including innerspring mattresses, are not suitable for side sleepers. They provide no support for the side of your body from your shoulder to your hip. Your waist in particular, just below the ribcage, is unsupported placing significant pressure on your hip. Individually pocketed springs may help, but do not solve the problem completely. If you have hip pain at night, you definitely do not want your hip bearing more body weight than it has to. If you have a hard innerspring mattress, your hips take the weight, and the spine from the waist upwards will tend to sag into the unsupported space and form a curve. That makes your problem even worse. Ideally, you need your entire body supported equally: head, neck, shoulders, upper and lower spine, hips, knees and feet. Old worn out mattresses offer insufficient support. You can overcome a lack of mid-body support by stuffing a pillow under your side – or your back if you are a back sleeper. However, it is best to use the most appropriate mattress from the start. So what is that? Getting a mattress that will reduce your pain is not easy, but if you begin with the right general type of mattress then it will a great deal easier. Fundamentally, you should be looking for an appropriate latex or memory foam mattress. Why? Because these foams can compress according to your body pressure. Here is how each foam type works to help reduce your pain in bed. There are three types of latex foam mattresses. These are synthetic latex, natural latex and blends. They can be purchased in a range of hardness levels. Latex provides a springy, buoyant sleeping surface that helps support your entire body, not just the pressure points. The structure of latex mattresses permits a level of air circulation that can keep the mattress, and you, cool in summer, but also warm in winter. It’s ideal for side sleepers who often feel a high level of pain relief simply by choosing the right type of mattress for hip relief. Click here to check the best latex mattress in 2019. Memory foam conforms to your body’s contours and is not only ideal for side sleepers, but also for back and stomach sleepers. It is generally regarded by the medical profession as the best mattress for hip pain. It absorbs the pressure of your hip rather than supports it. A memory foam mattress provides equal support for your entire body contour – not just for your pressure points. Memory foam comes in different levels of hardness. The best grade for hip pain is a plush memory foam – a soft foam that allows your hip joint to sink into the mattress, while it also supports your buttocks and lowers back. It was designed by NASA to help astronauts absorb the pressure of high G forces. Its cell structure responds to body temperature as well as weight, so a hot, painful hip joint will sink into it with the absolute minimum of pressure. Modern memory foams can maintain a constant support level from mid 50 degrees to the mid 80s. So ambient temperature and body heat do not change the level of support memory foam provide to your body – even when lying on your side. Click here to check the best memory foam mattress in 2019. If you suffer from hip pain at night, it is important that you understand what is causing it. See your physician and get a diagnosis. This will enable you to get the correct treatment for whatever is causing your pain. However, it is also important to sleep on the right mattress. Sleep is important, particularly if you are feeling unwell and in pain. Your options are either latex foam or memory foam, the latter being recommended first. If you must go for springs, then individually pocketed springs are better than regular spring or continuous coil mattresses. However, the best mattress for hip pain is a memory foam mattress. Buying on Amazon often enables you to try the mattress out for a period, then return it if does not suit you. I had a memory foam mattress and I hated it after a year. After 2 years I found someone to give my almost new king size memory form mattress set to. Worst buy ever for hip and shoulder pain. After a year my husband and I felt like we were sleeping in a hole that we couldn’t get out of to move in the bed. It was also hot. It’s called “memory foam” because it remembers you shape and before long you are sleeping in a hole! Latex is far better. Memory foam compresses down and after a while goes flat and hard and is no longer soft. I threw away over $2500 with a memory foam mattress. Worst invention ever! If you have hip pain, try sleeping on your side with a pillow between the knees. 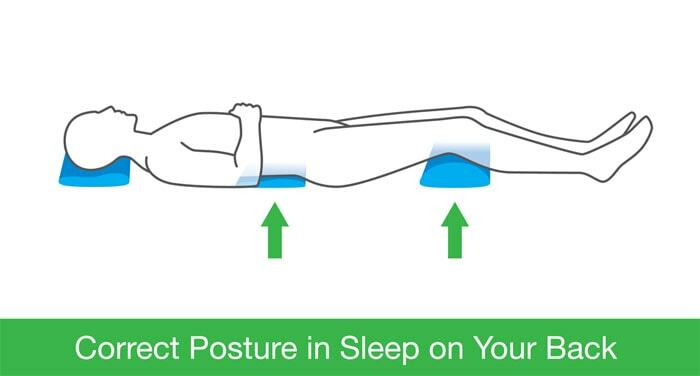 This will help to keep your hips aligned and improve sleep posture. 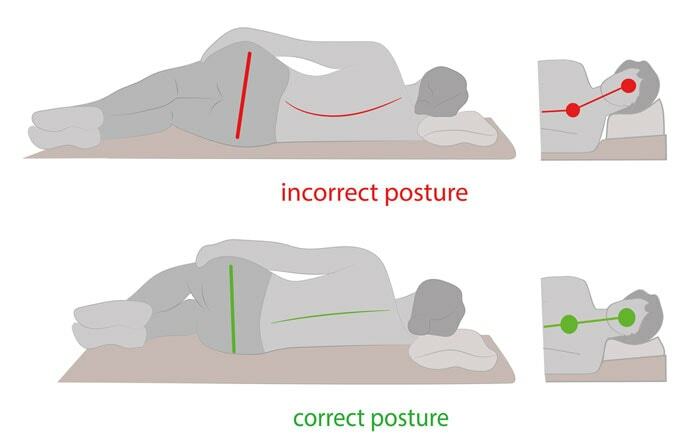 I would say look for a mattress that is not too soft or too hard as this can trigger pressure points, look for one that conforms closely to the body so the pelvis, spine and shoulders are aligned correctly to alleviate any pressure in the hips.